Those of you who are very active on Twitter probably post a ton of tweets to your account each day. There is a good chance those who keep up with your blog or site will check out your Twitter updates as well. Turning your tweets to posts on a daily basis is not a bad idea. Now you don’t want to create a post for each tweet. Thanks to Twitter Digest, you can turn your daily or weekly tweets into posts. 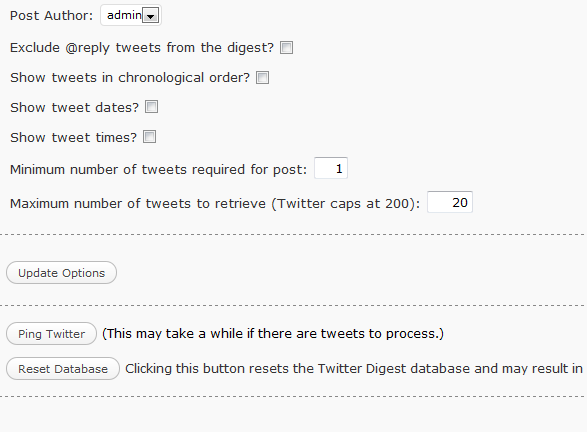 Twitter Digest allows you to choose the right frequency for your tweets. 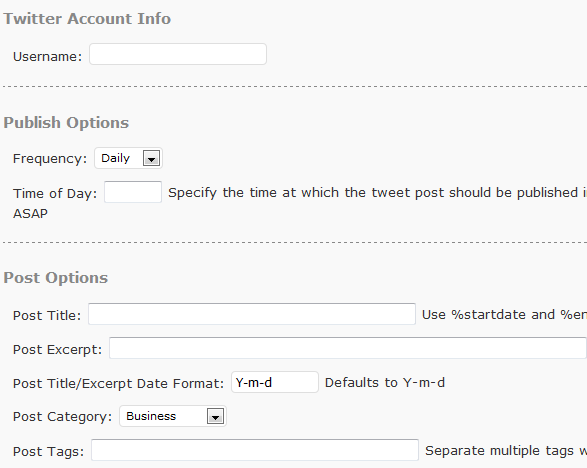 Users can define what time of the day they want their Twitter round-ups to be posted to their blog. 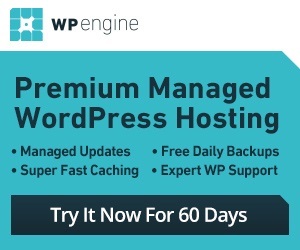 The title, excerpt, category, date, and tags for these types of posts can be modified from this plugin’s settings page. If you want to differentiate between your regular posts and Twitter round-ups, you can create a new user and post your tweets under that. Don’t want to post these types of posts until you have reached a certain number of new tweets in your timeline? Make sure you choose the right minimum requirement on the settings page. You can also cap the number of tweets used in your posts. Twitter Digest is a pretty handy tool for those of you who are active on Twitter and want to get your tweets more recognition by using your blog. It turns your tweets into blog posts quickly and saves you time doing that.